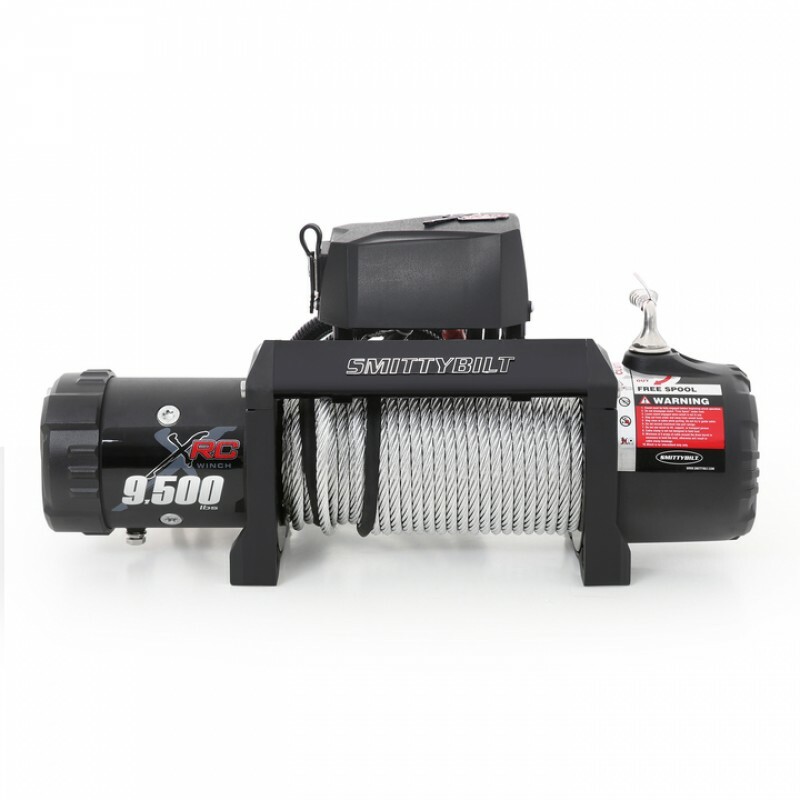 Smittybilt 97495 XRC9500 Waterproof Steel Winch. 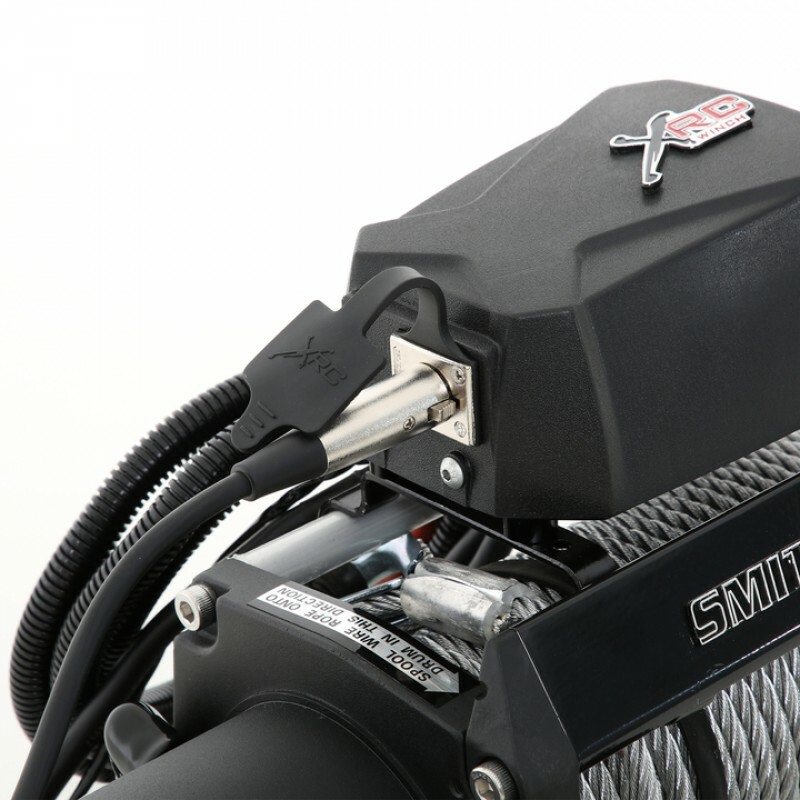 Smittybilts XRC winches can handle any situation you get into. The new 6.6HP motor is connected to a 3 stage planetary gear system with revised gear ratios for increased pulling power and line speed. Every winch is finished in a rugged UV resistant matte black coating with stainless steel hardware and oversized aluminum cross bars to provide you with a great looking system that will last you a lifetime. 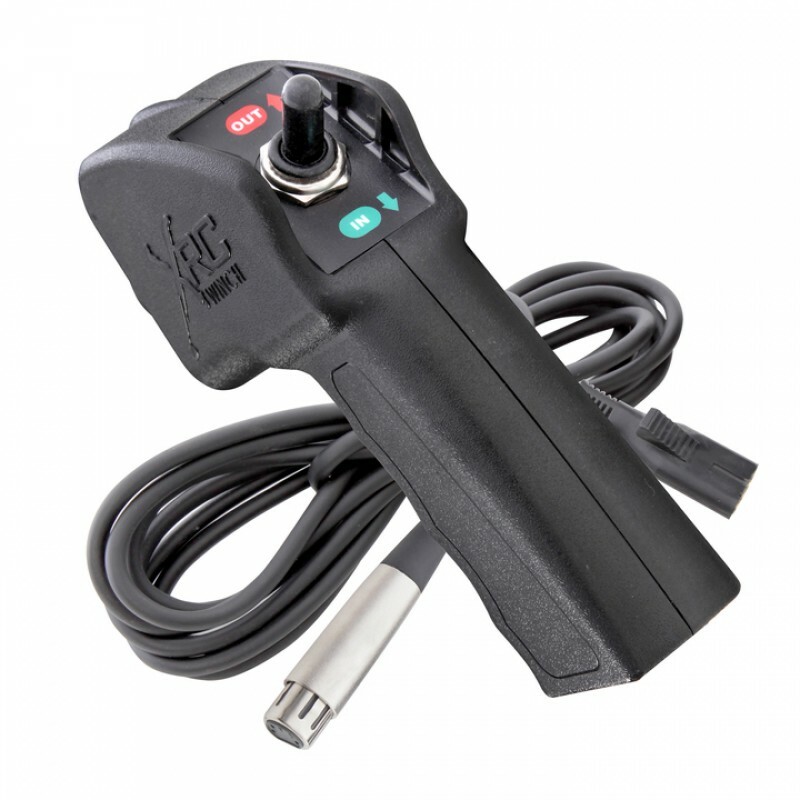 Every system includes a heavy-duty remote control. The redesigned solenoid box can mounted in three locations on the winch for maximum versatility. 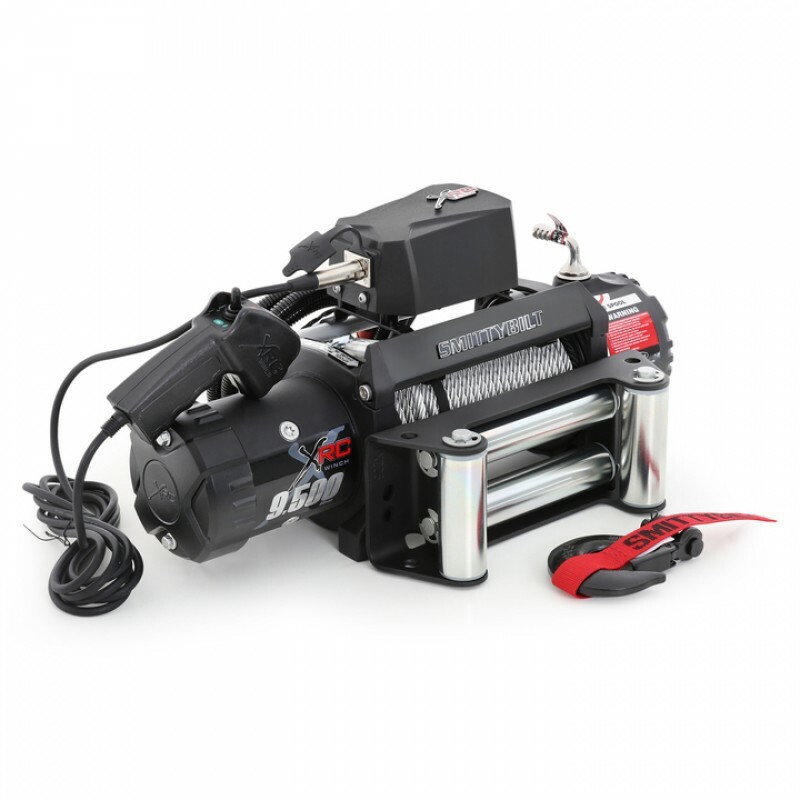 Each winch also includes a four way roller fairlead and a forged hook. 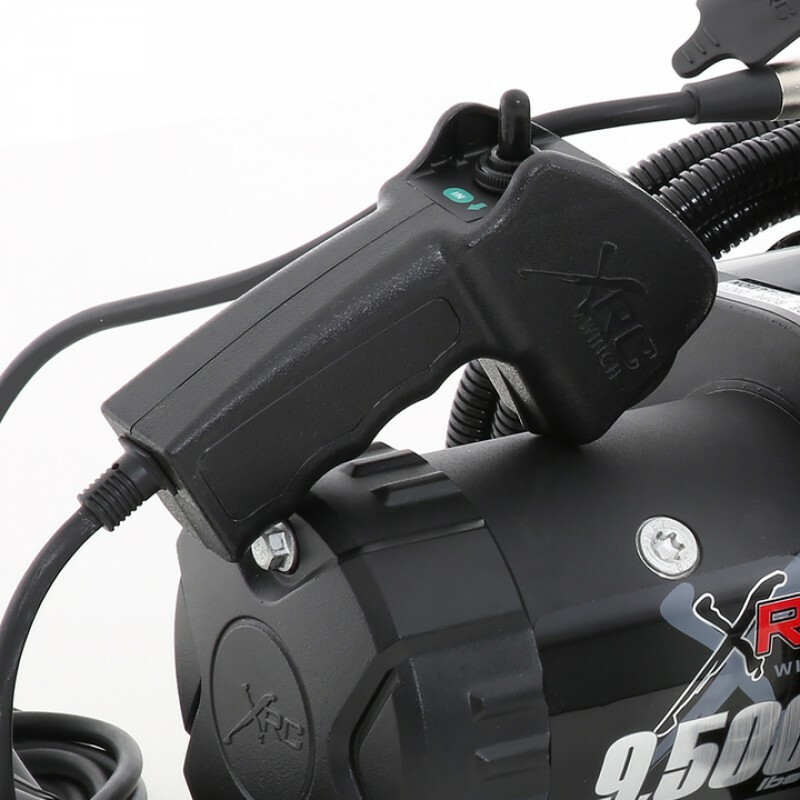 If you're after a winch equipped with a state-of-the-art synthetic rope, look to the XRC Comp Series for the ultimate in pulling power and performance. Bolt Pattern: 10.0 " x 4.5 in. 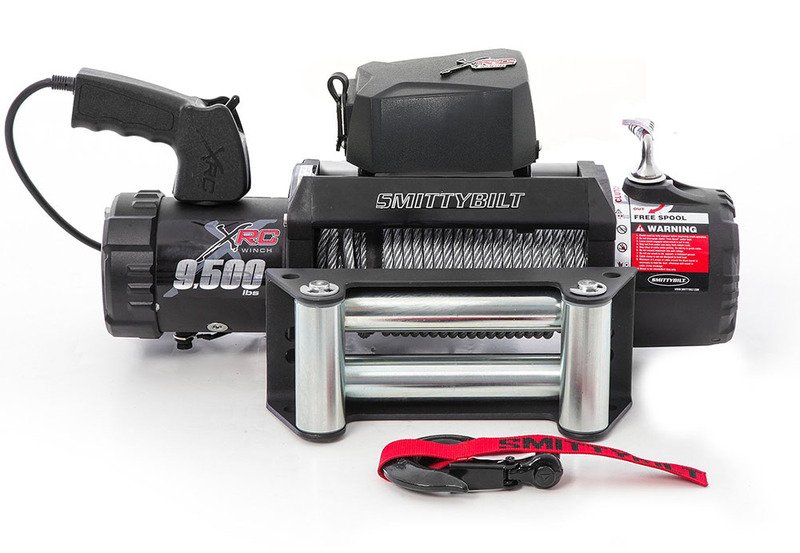 A Smittybilt XRC winch is a complete recovery system with the muscle and reliability to bail you out of any situation.